My board and elbow went through my Ezzy sails, nice long rips. I used duct tape (because the packing tape I have doesn't want to grab the x-ply although it kinda works on monofilm). And so far the duct tape slid off a little and the material lacks tension in the area of repair. Anyway... !!!! No backing? May make install difficult / messy, harder to cut specific dimensions and reuse leftover. Need to cut in half or third? 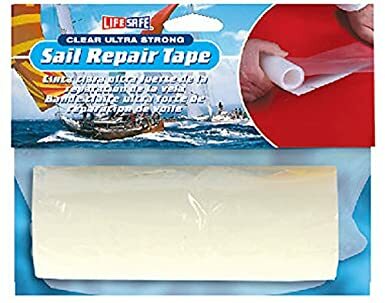 Company has good website, good reviews on this product and RV tape too. Backing, easier to cut and install but may leave many leftover small pieces. 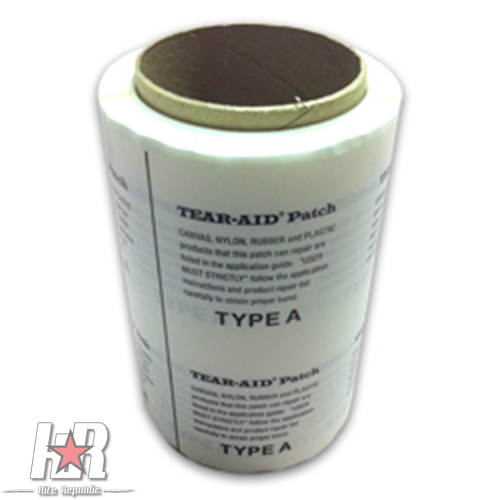 Tear-Aid type A, amazing stuff, super sticky, will repair anything but a roll cost the price of my used sail ! 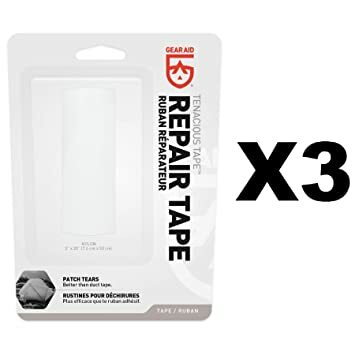 2"x15' White Dacron Tape - $5 !!! Cheap, durable, UV resistant, won't tear, but can't see through. Clear Gorilla tape, anything else can be like Thom describes. Put some on both sides of the tear, may end being the strongest part of the sail. Clear gorilla tape doesn't get good reviews on Amazon. Now resurrection, and duct tape is the answer, from most. Use proper sail tape, or fin the panel. A solution available from Home Depot is Tyvek, but this costs more tha $1.99. I'm sure all the reviews were from windsurfers I swear by the stuff. For a small repair, I can see using tape, since a elbow and board went ,through , must be through a panel , I see a proper repair. The weight gain alone would put me off . Thanks for the feedback guys, didn't mean to respond so harshly about the gorilla tape! Now that I looked back into it the crystal clear tape, it seems that it tends to fall off when used in water situations. That's what put me off a bit. I kept sailing both times with the tear and didn't notice any issue with either sail. I just would like to give a clear tape a shot. That, and I'll most likely need more repairs soon! UK based shop, made the sails for Witchcraft .